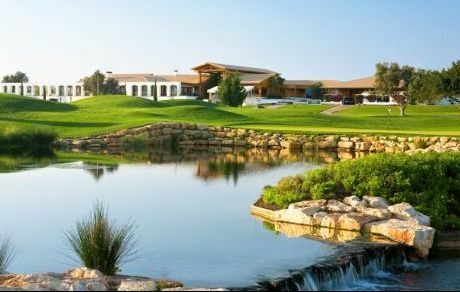 The 2016 Portugal Masters golf tournament on the European Tour is taking place this week from October 20-23, 2016, at the Oceanico Victoria Golf Course located in Vilamora, Portugal. Here is a list of the prize money up for grabs for the European Tour players to win at the 2016 Portugal Masters. The Portugal Masters golf tournament dates back to 2007. To date, the most distinguished golfer to win the Portugal Masters is Lee Westwood from England who has 23 European Tour wins. The total prize money up for grabs at the 2016 Portugal Masters is $2.2 million. All prize money for the 2016 Portugal Masters golf tournament has been converted from Euros to American dollars at the current exchange rate of 1.10. The winner of the 2016 Portugal Masters golf tournament will earn $366,713. Andy Sullivan from England was the winner of this European Tour event last year. Second place at the 2016 Portugal Masters is worth $244,475. Chris Wood from England finished alone in 2nd place here last year. Third place is worth $137,739 at the 2016 Portugal Masters golf tournament on the European Tour. Fourth place at the 2016 Portugal Masters is worth $110,015.